OK, it's my first Friday since leaving the Delicious Doodles design team and I begged Teri to let me come back one more time as a Guest Designer so that I could do this card using her fabulous silhouette image, "Lovers." She said "yes," and here I am! The theme this week is "Let's Party" and I can't think of a bigger party than the one to start off the New Year every year. I hope we'll see you playing along. 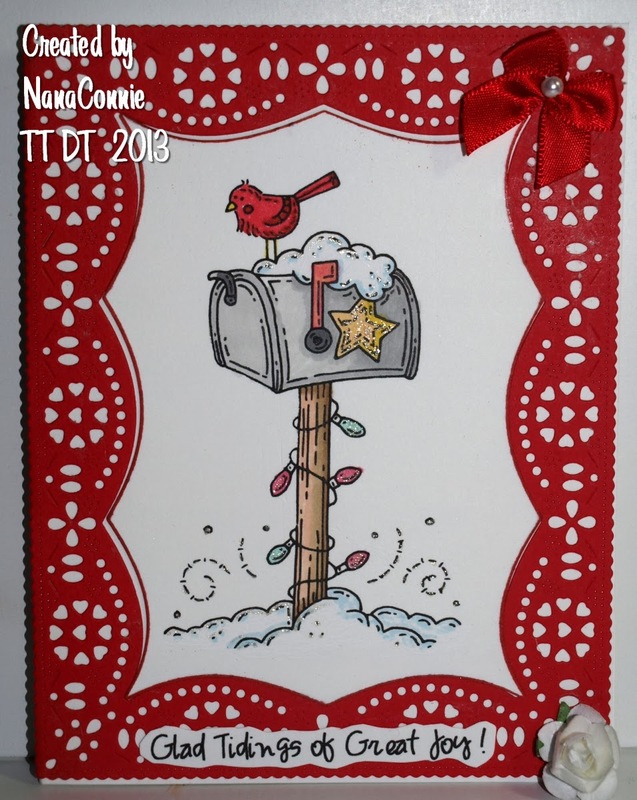 I chose sketch #173 from Sunday Sketch & Stamp. This image is also fantastic for a wedding, engagement, or anniversary card. Or maybe a New Year's wedding? Just change out the sentiment. I printed the image, added some Stickles (Diamond) for a bit of glitz and sparkle, then double framed it with two negative die cuts, one black, one white. The embossed paper is a leftover from another project (you'll see it next year) and I used my brand new embossing folder from Sizzix (which actually is flowers, not snowflakes, but I thought it made great flakes, too. :-D ) I have some wonderful new tools to use this year. The silver ribbon was in my stash and the background dp was made by painting a scrap piece of paper with Royal Blue paint from Creative Inspirations and then adding snow to it with a white gel pen. 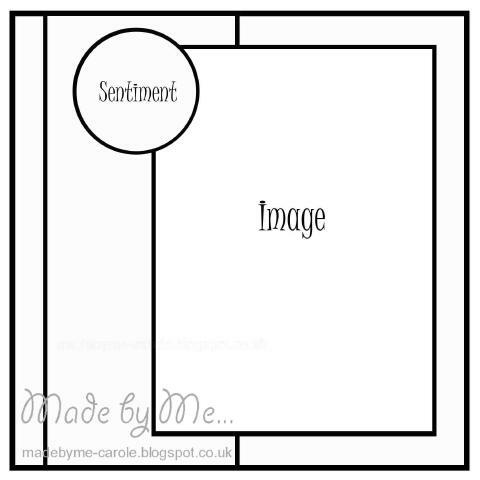 The sentiment is also an image from Delicious Doodles and is a freebie on the Facebook page over there. and took my colors from Color My Heart: "ruby and juniper." 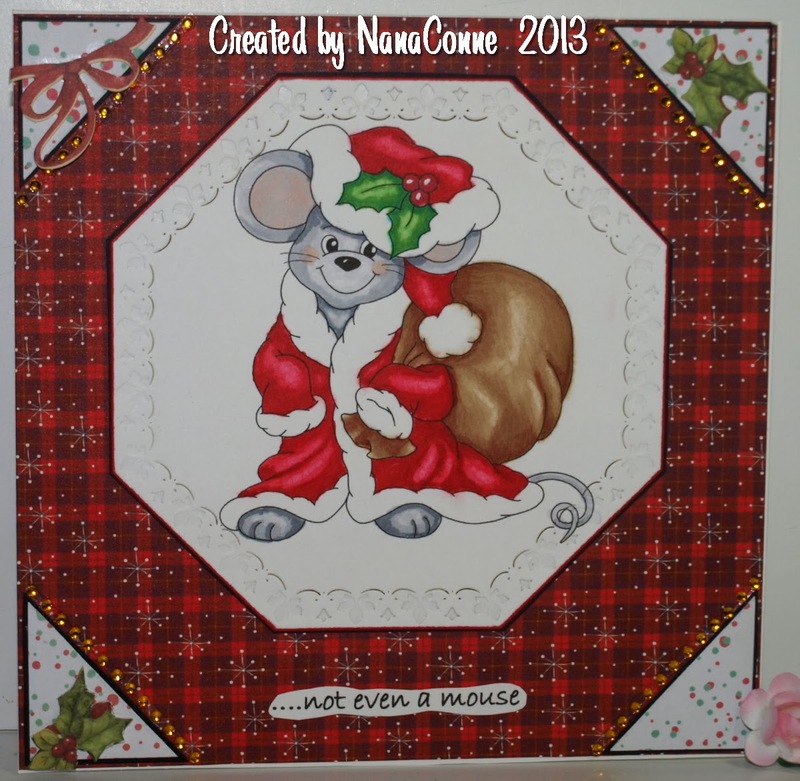 I colored Santa Mouse with a combination of ProMarkers and colored pencils. He was already die cut before coloring but I matted him and all the papers with black CS. The background dp I used is scrap booking paper from Paper Pizazz, called "Santa Plaid." The corner dp were just scraps which I cut to size. I added strips of gold colored gemstones to each corner and then found the bits of ribbon and holly leaves in some dp and cut them out by hand, backed them with CS, and added them to the corners. 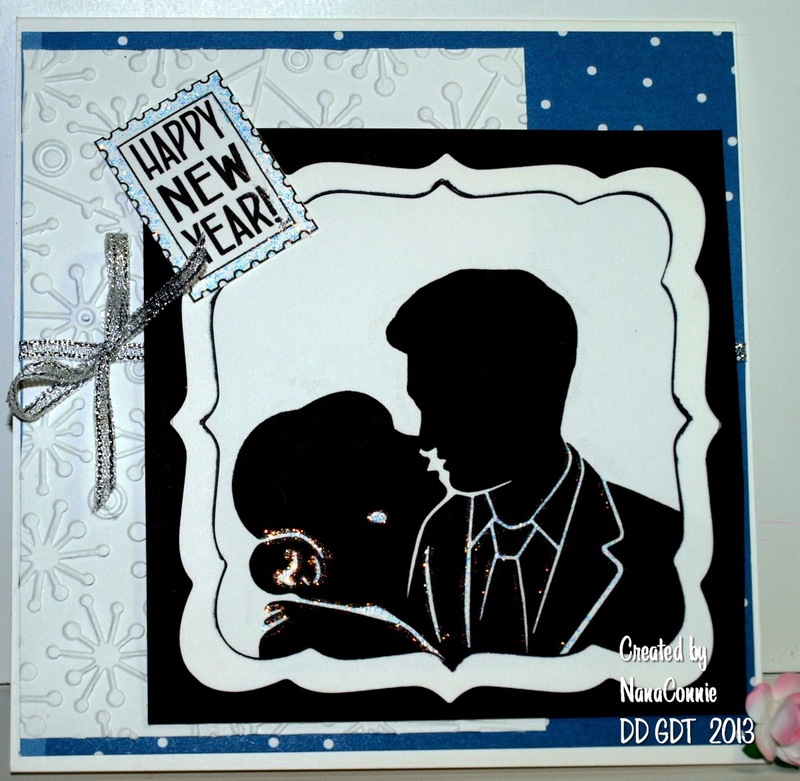 This is another of those CAS cards that just looks more complicated because of the fancy frame, a die cut from Cheery Lynn Designs. 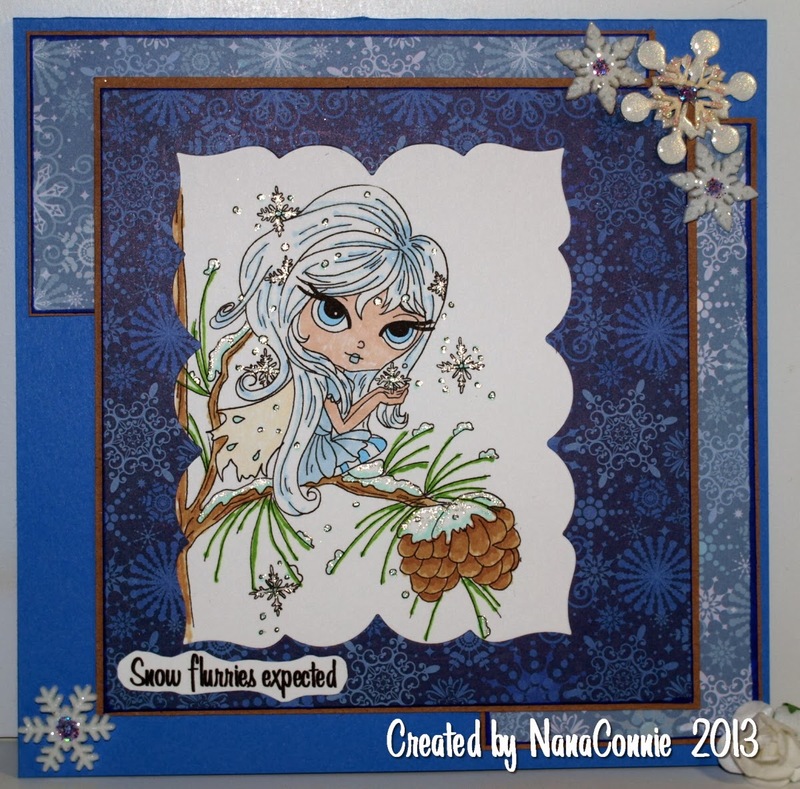 I colored the image with ProMarkers, then added some sparkle to the snow and the star with glitter. I wish it showed better in the photo. I guess you'll just have to take my word that it's there. The bow is one of those I make by the dozens and the flower was in my stash. I printed the sentiment and added it last. I told you it really was CAS. 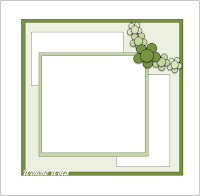 One colored image and a die cut frame, two tiny embellishments and nothing else.